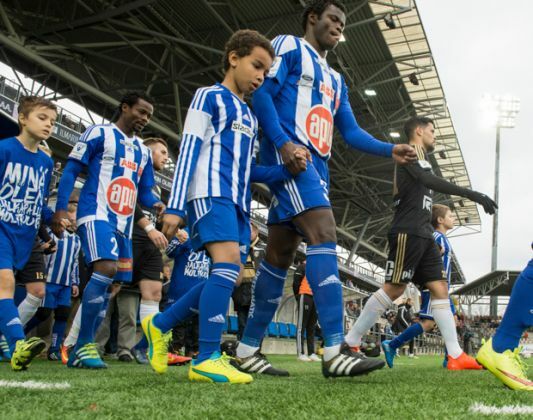 Former Super Eagles defender, Taye Taiwo has parted ways with compatriots and club team-mates Nnamdi Oduamadi and Vincent Onova, bringing to an end a three year spell at Finnish club HJK Helsinki. During his time at HJK, the former Olympique Marseille left-back made 32 league appearances for the club within two spells having arrived the club from Turkish side Bursaspor in 2015. The 31 year old defender made a total of 21 league appearances this season off available 33, scoring six goals and was only booked once. Unconfirmed reports in the media say he could be headed to Asia with Chinese outfits reportedly on his trail. The Nigerian trio were part of the club’s league final day squad that were held to a 0-0 score line by SJK on Sunday -a result that was good enough to finish top of the Veikkausliiga table after 33 league games. While Taiwo played the entire 90 minutes, Oduamadi had 88 minutes of action. Onovo was left on the bench for the entire duration of the game.